Ethiopian Airlines says it believes 149 passengers and eight crew members were on board a plane that crashed six minutes after taking off from Ethiopia's capital, Addis Ababa, on a flight to Nairobi. The airline statement said "search and rescue operations are in progress and we have no confirmed information about survivors or any possible casualties." 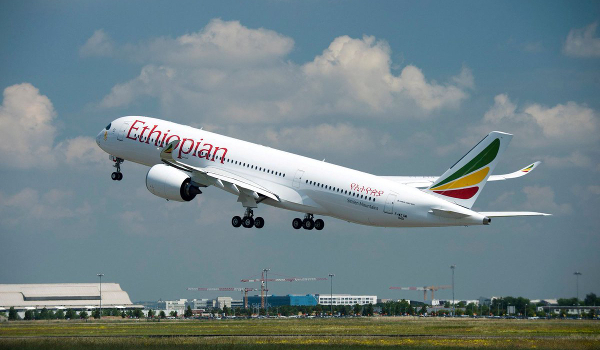 The Ethiopian prime minister's office says an Ethiopian Airlines plane has crashed on its way to Nairobi, with deaths reported. A spokesman for the airline confirmed the plane crashed while heading from Ethiopia's capital, Addis Ababa. It is not yet clear where the crash occurred. The airline has not issued a statement.